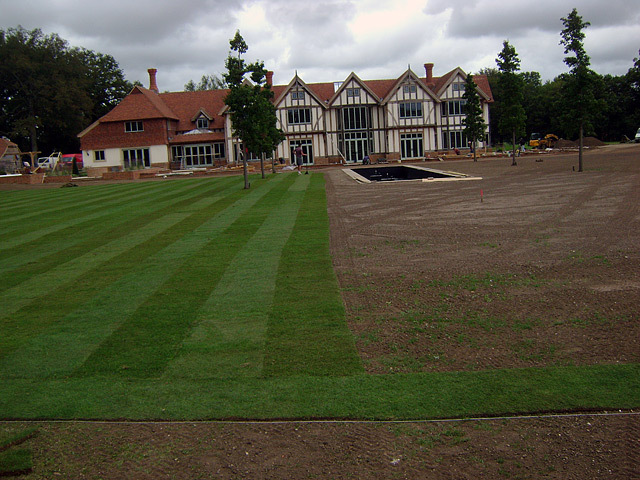 Enahancing this already impressive property in Surrey a professionally laid full lawn. 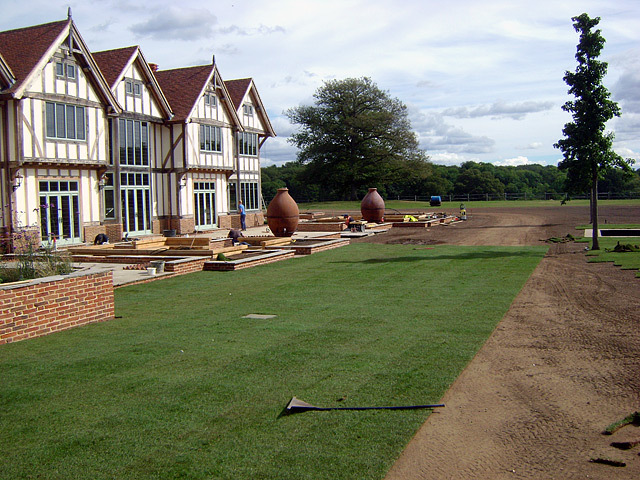 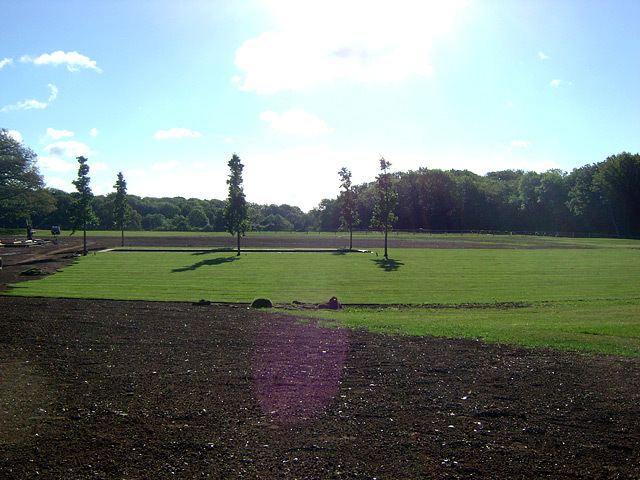 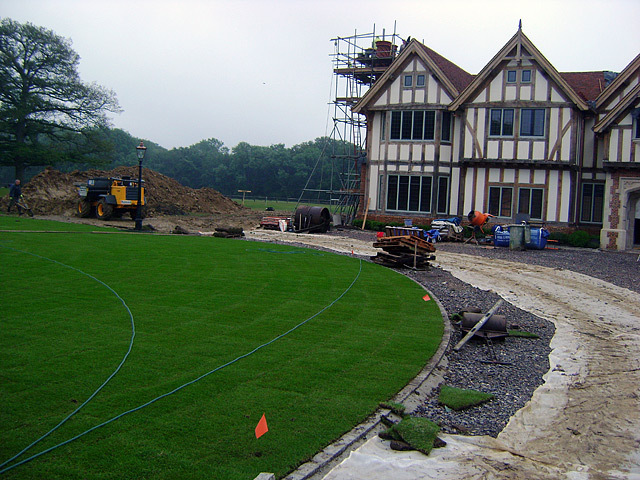 This was a very large project requiring precise estimation, clearance, preparation, fertilisation and professional turf laying. 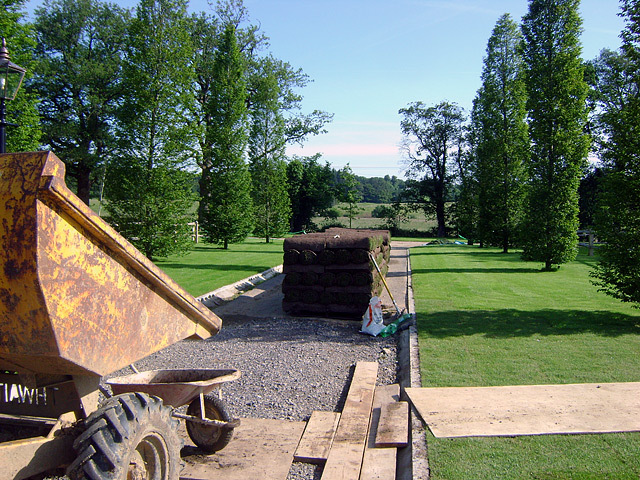 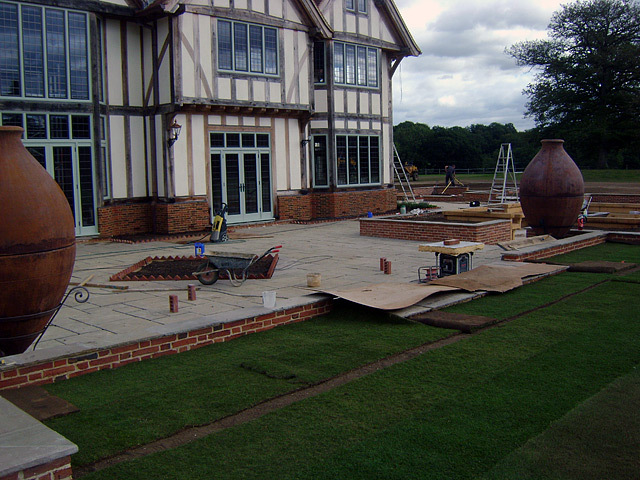 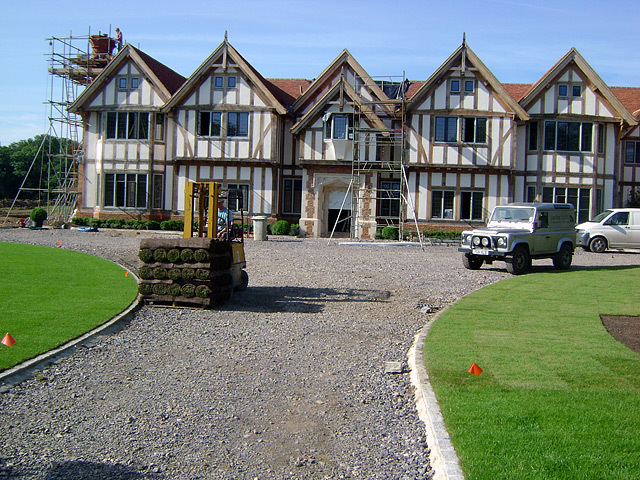 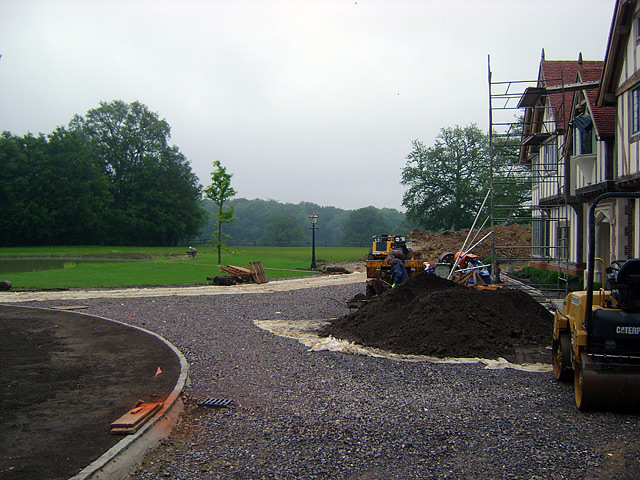 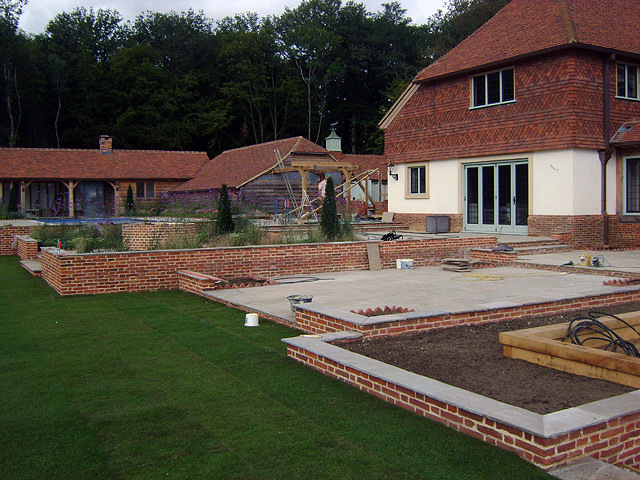 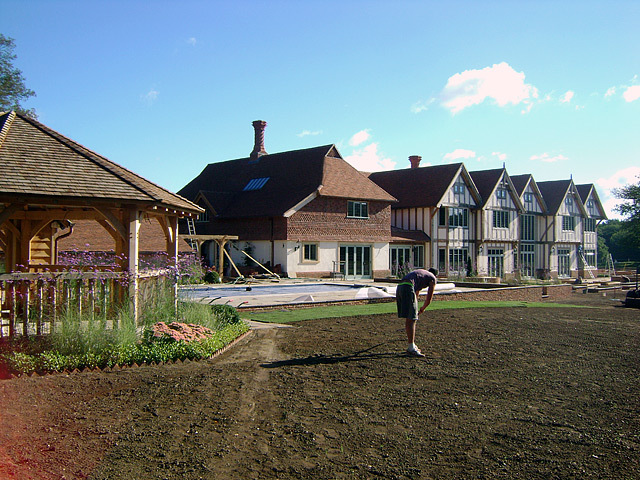 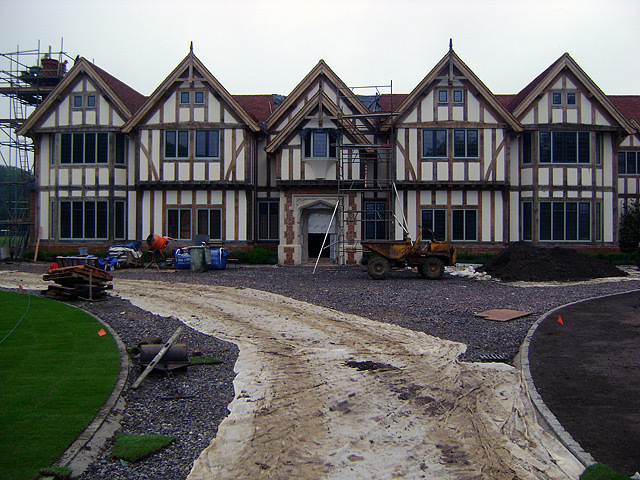 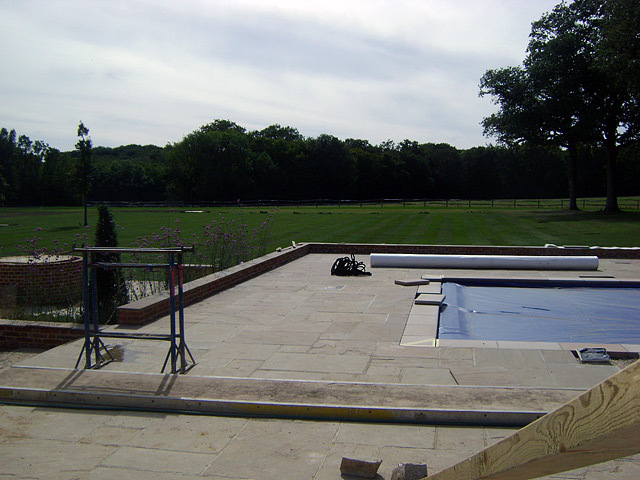 Jason Weir Landscaping & Stonework are pictured above undertaking a large scale turfing project in a prestige setting in The Surrey Hills. 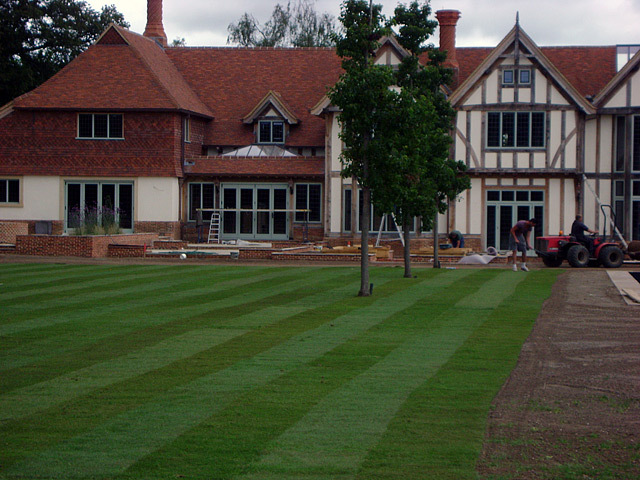 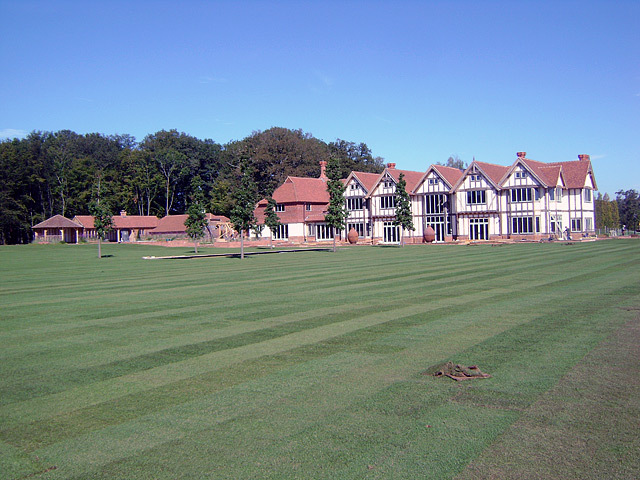 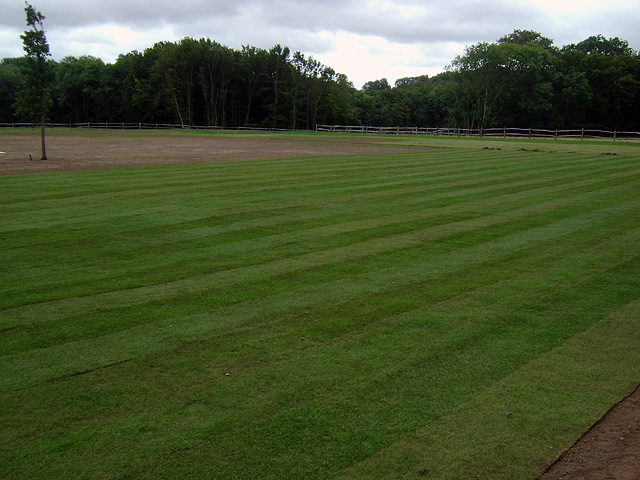 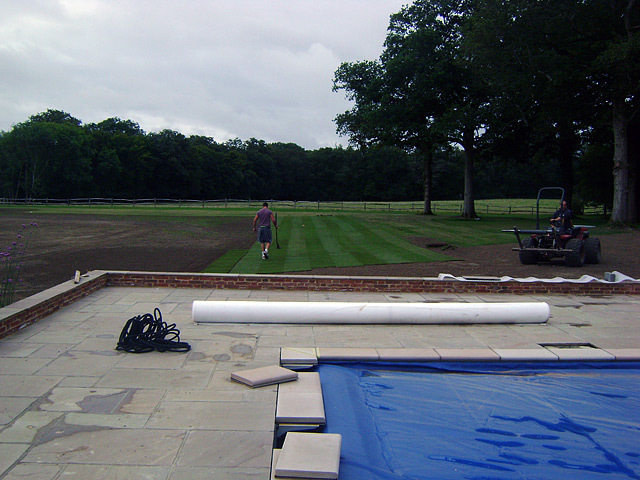 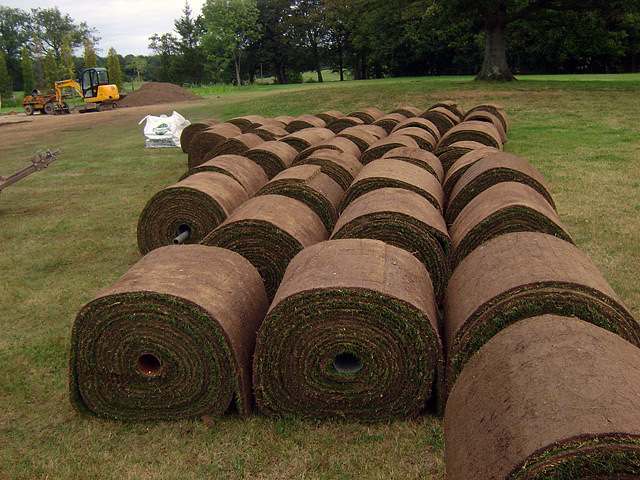 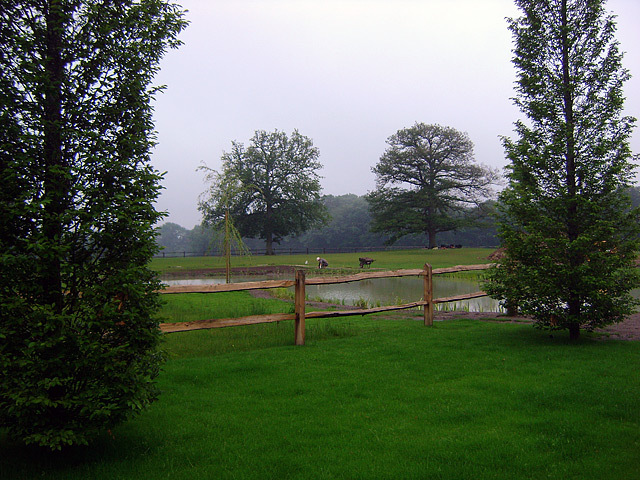 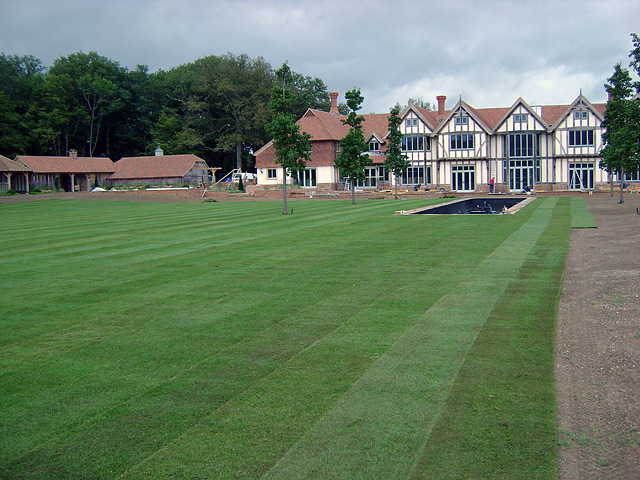 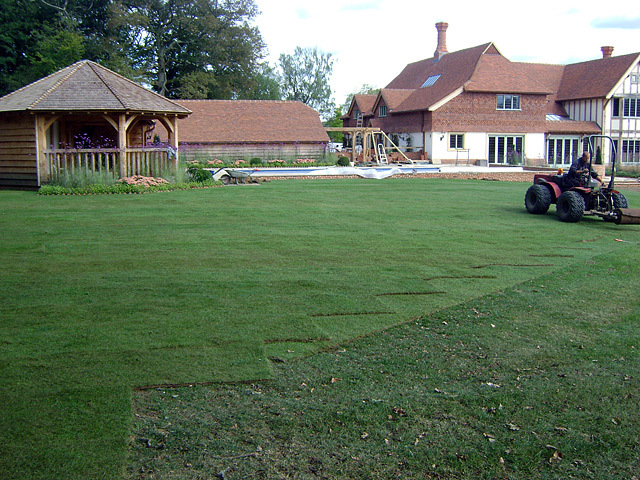 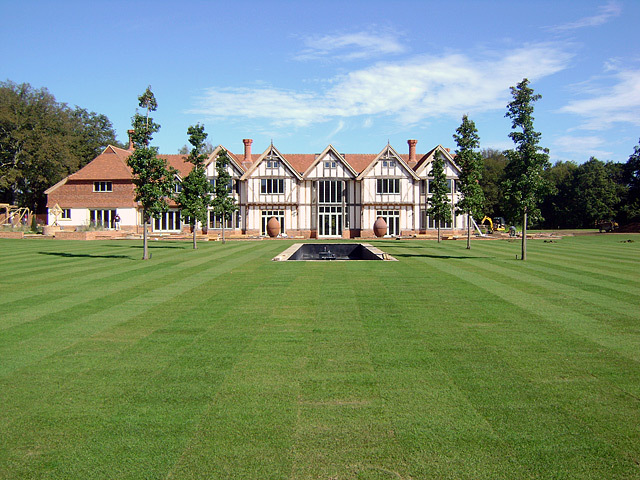 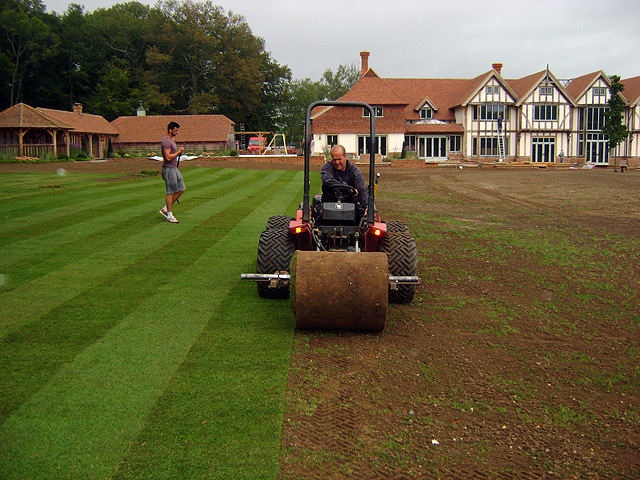 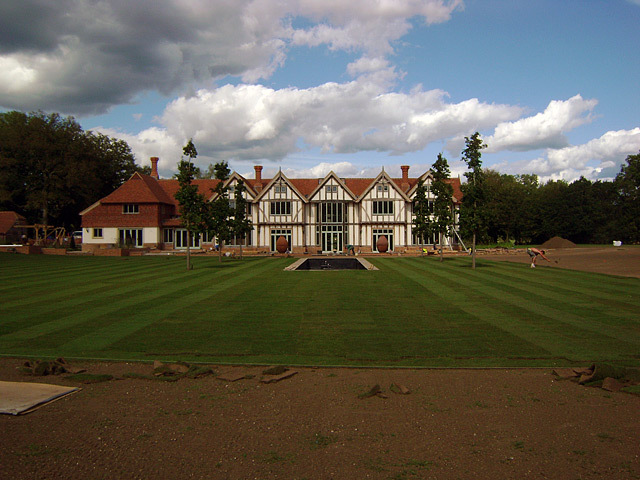 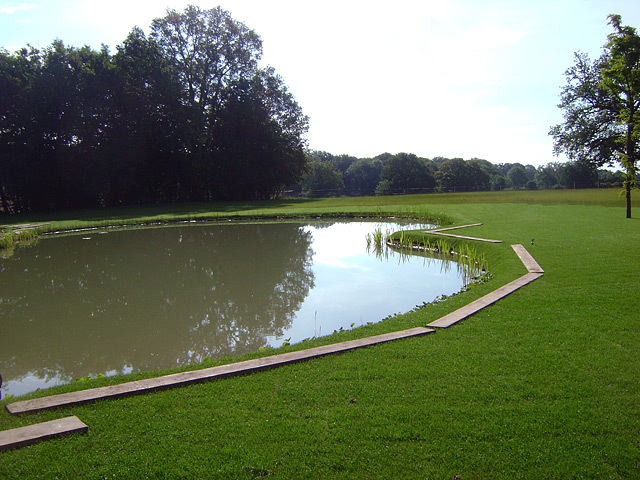 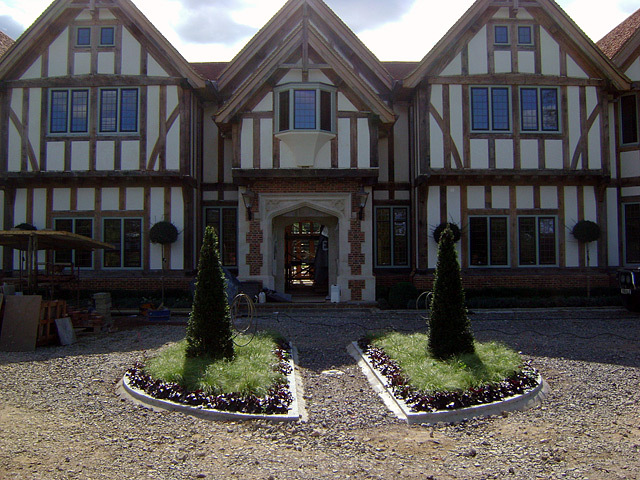 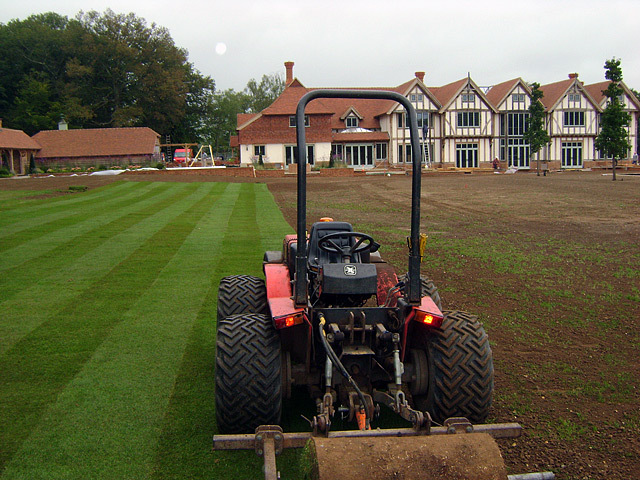 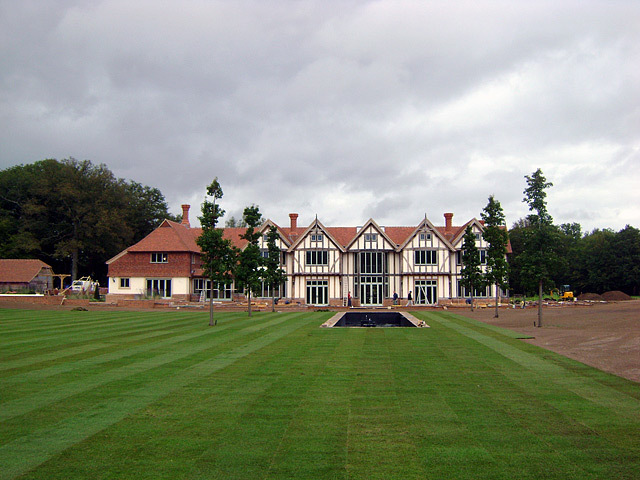 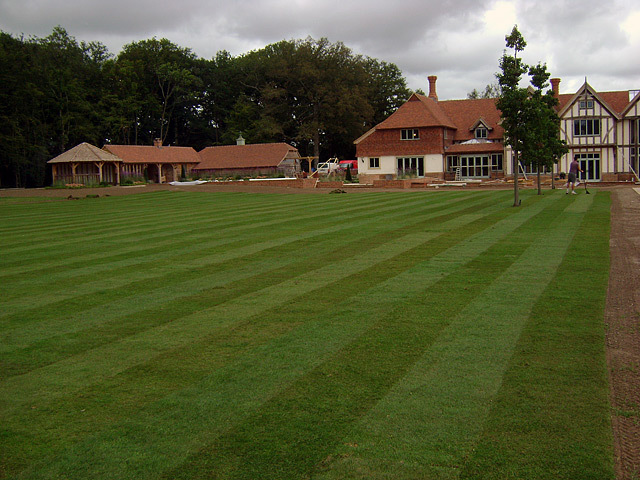 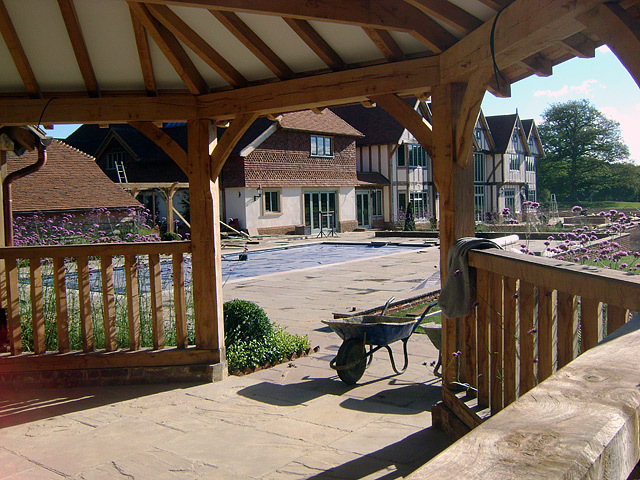 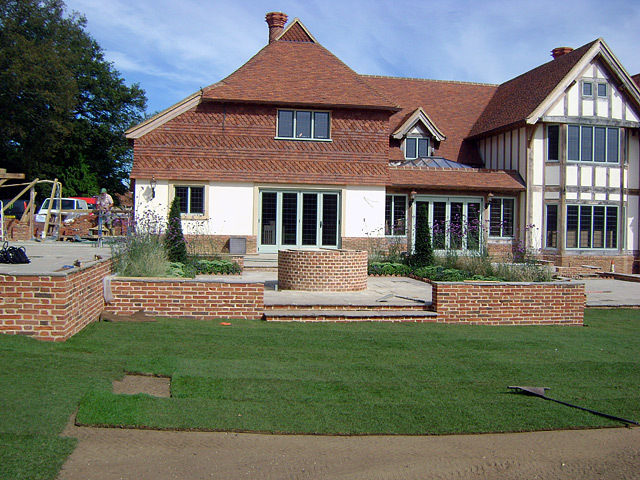 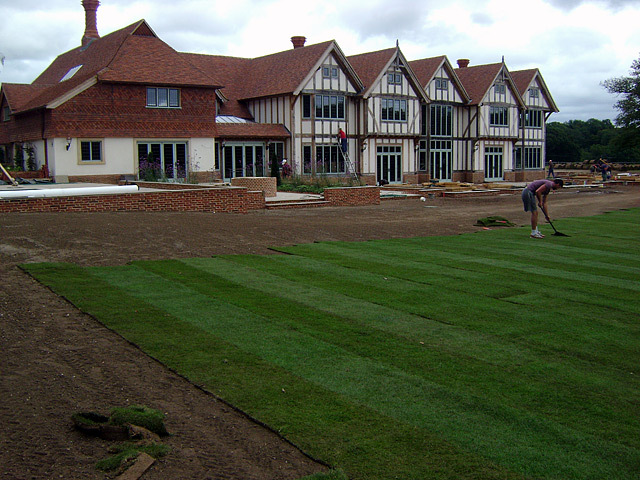 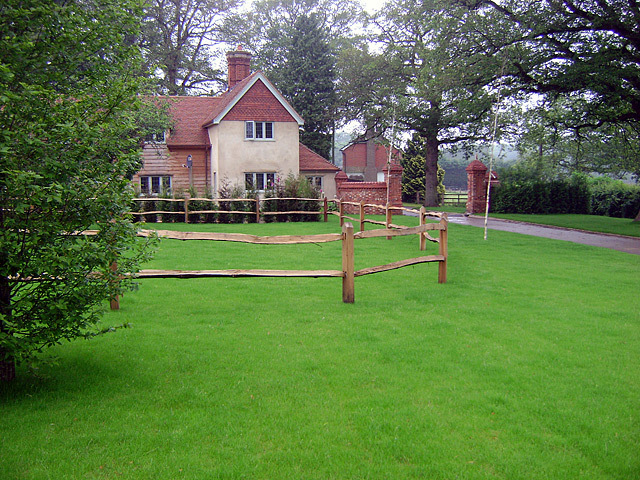 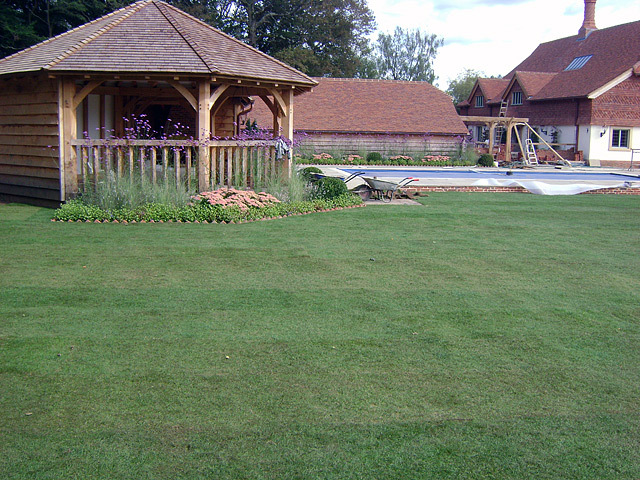 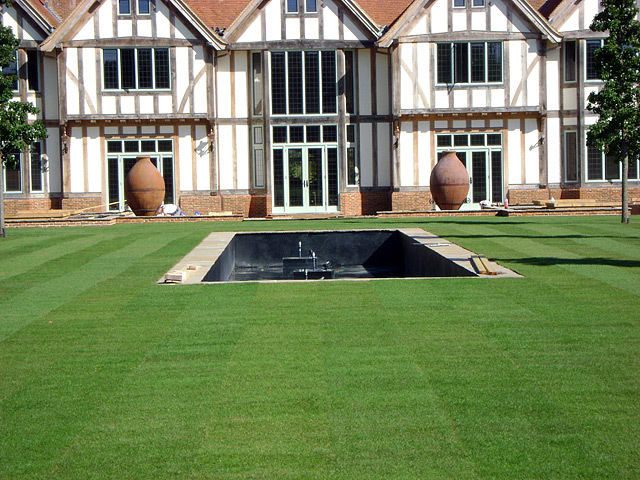 We are very experienced turfers and have turfed many beautiful lawns both large and small across Surrey and Hampshire.